On November 7, Samsung Vietnam hosted the first “Samsung Vietnam Workplace Environment & Safety Innovation Conference” at Samsung Electronics Vietnam Thai Nguyen. Under the theme “Workplace Environment and Safety as the No. 1 Principle in Business,” the two-day meeting aimed to raise awareness as well as dialogue around the latest initiatives in working environment and safety innovation at Samsung worksites. 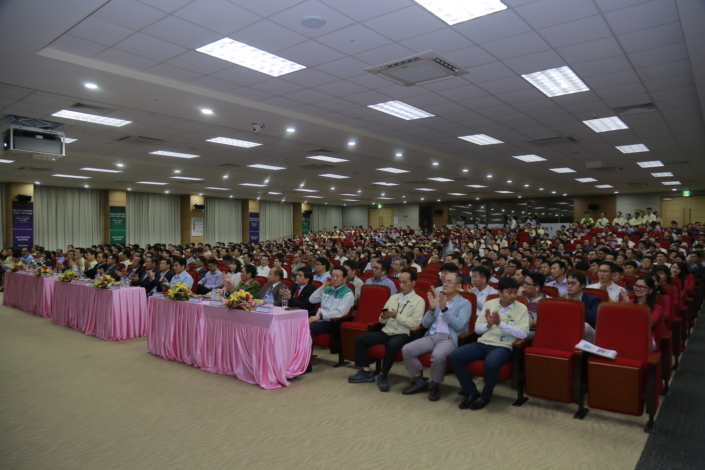 More than 700 attendees participated in the conference, including representatives from Samsung Electronics’ manufacturing subsidiaries and its affiliated companies and suppliers, as well as officials from relevant government agencies in Vietnam, to share their experiences on innovating workplace environment and safety management practices. From the Vietnam government, Deputy Minister Doãn Mậu Diệp of the Ministry of Labor, Disabled and Social Affairs, Deputy Minister Võ Tuấn Nhân of the Ministry of Natural Resources and Environment, and Nguyễn Tử Quỳnh, Vice Chairman of the People’s Committee of Bac Ninh, were in attendance and congratulated Samsung’s ongoing efforts to promote employee health and safety. 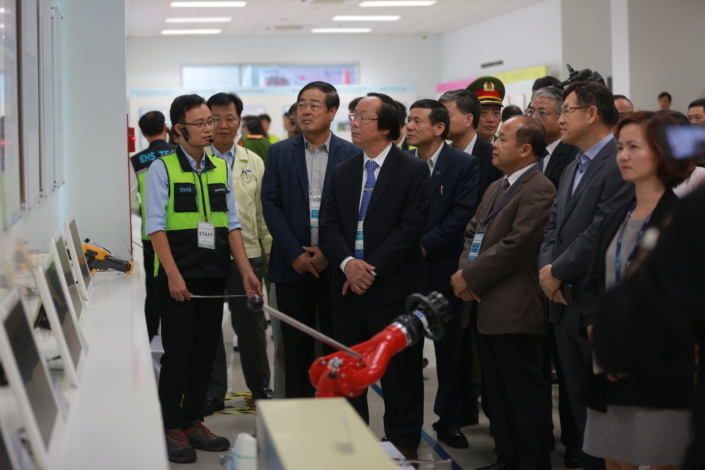 From Samsung, Won Hwan Shim, President of Samsung Vietnam, the subsidiary heads of Samsung affiliate factories in Vietnam, as well as leaders of Samsung manufacturing facilities from around the world including Korea, Brazil, India, and China also participated. Samsung’s factories in Vietnam are committed to workplace environment and safety, and energy saving as the main principle in production and business operation. Furthermore, Samsung continues to seek innovative ways to protect the workplace environment and promote the safety and welfare of its staff. 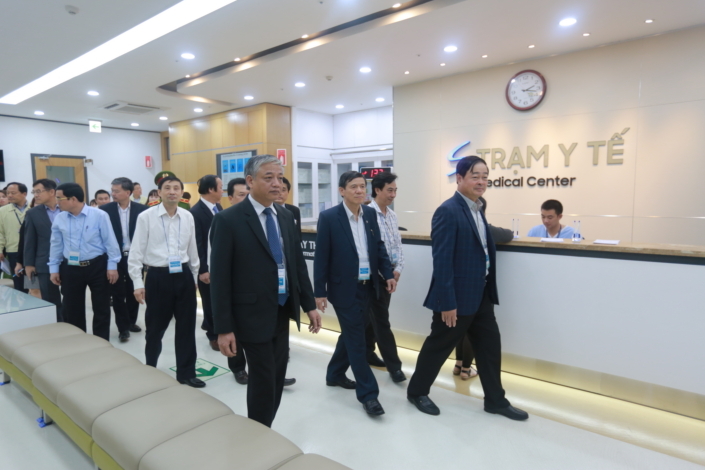 For example, Samsung has established the Samsung Health Center at its manufacturing complex in Thai Nguyen, to provide state-of-the-art medical equipment and medical services such as obstetric care, otolaryngology and physiotherapy to employees. The center is staffed with 11 doctors and 45 nurses, ready on-site. 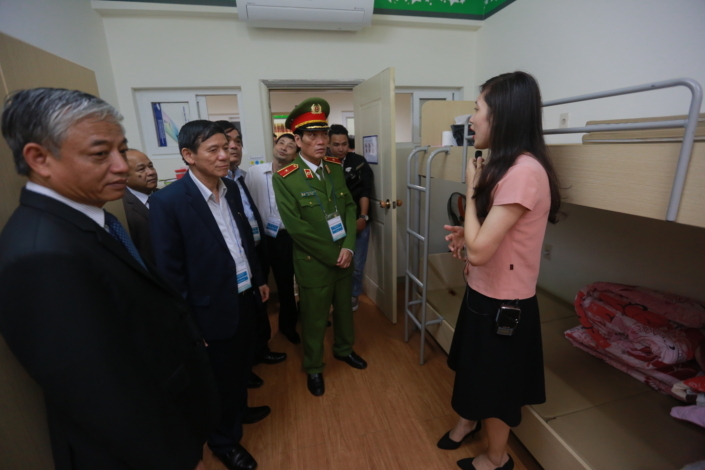 In addition, Samsung also recently opened respective Motor Safety Experience Centers at its complexes in Bac Ninh (SEV) and Thai Nguyen (SEVT) to provide defensive driving training for employees by simulating traffic incidents to help reduce and prevent traffic accidents.